is managed by Stéphanie Chardeau-Botteri. Descended from a celebrated painter and coming from a family of collectors and patrons, Stéphanie's inclination has gradually led her towards contemporary artists. She began as a collector of their creations before devoting herself to making them better known and organizing both private and public events. Guillaumin (since 1996) and a valuer of XIXth century works, as well as a member of France's Chambre Nationale des Experts Spécialisés (CNES). 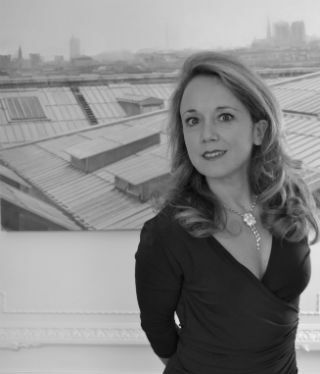 She began her career at Artcurial before moving to Christie's in Paris and London. Prior to this she studied at Sorbonne, Dauphine and Assas universities in Paris, where she earned respectively a Bachelor's degree in the History of Art, her graduate work (equivalent to a Master's degree) includes a DESS postgraduate diploma in the Management of Cultural Institutions and a DEA diploma in fiscal law.